Eighty-three-year-old Etta has never seen the ocean. So early one morning she takes a rifle, some chocolate, and her best boots and begins walking the 3,232 kilometers from rural Saskatchewan, Canada eastward to the sea. As Etta walks further toward the crashing waves, the lines among memory, illusion, and reality blur. Otto wakes to a note left on the kitchen table. “I will try to remember to come back,” Etta writes to her husband. Otto has seen the ocean, having crossed the Atlantic years ago to fight in a far-away war. He understands. But with Etta gone, the memories come crowding in and Otto struggles to keep them at bay. Meanwhile, their neighbor Russell has spent his whole life trying to keep up with Otto and loving Etta from afar. Russell insists on finding Etta, wherever she’s gone. Leaving his own farm will be the first act of defiance in his life. Moving from the hot and dry present of a quiet Canadian farm to a dusty, burnt past of hunger, war, and passion, from trying to remember to trying to forget, Etta and Otto and Russell and James is an astounding literary debut “of deep longing, for reinvention and self-discovery, as well as for the past and for love and for the boundless unknown” (San Francisco Chronicle). “In this haunting debut, set in a starkly beautiful landscape, Hooper delineates the stories of Etta and the men she loved (Otto and Russell) as they intertwine through youth and wartime and into old age. 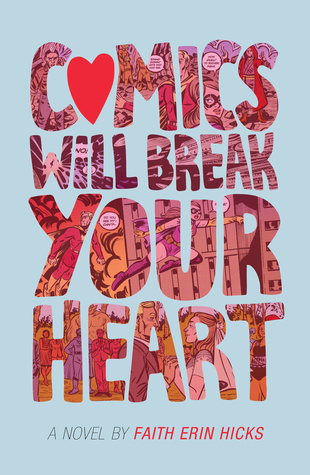 It’s a lovely book you’ll want to linger over” (People). 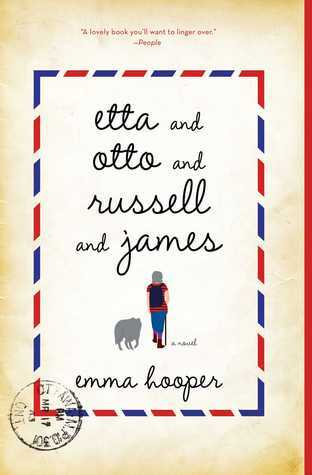 Etta and Otto and Russell and James feels as familiar as an old shoe… and that’s both good and bad. There’s a heart-warming, comforting tone to it, and much of the story is told throughout flashbacks and interwoven memories. E&O&R&J seems to be one of several books recently about an elderly main character embarking on a sudden adventure or doing something completely out of character. I was reminded most forcefully of The Unlikely Pilgrimage of Harold Fry by Rachel Joyce, but that’s not the only example. In this book, main character Etta wakes up one day and starts walking, setting off on an easterly course from Saskatchewan in order to see the ocean, which she’s never seen before. She walks all day long, every day, sleeping outdoors and bathing in rivers, with only a coyote for company. The coyote (James) talks, by the way — or at least, Etta believes he does. Magical elements come into play, although I suppose they could also be signs of Etta’s growing forgetfulness and dementia. She carries a fish skull, a token of her childhood, which gives her advice in French. Meanwhile, Otto stays home waiting for Etta to return, and to stay busy, he teaches himself to bake and makes an entire papier-mâché menagerie. The third human of the title, Russell, a farmer who has spent his long life at home, sets out to find Etta and then to find himself. Some of the most affecting portions of the story are the chapters and interludes in which we learn more about Otto’s childhood — one of fifteen children on a dusty farm, where attending school every other day in order to carry out chores at home is simply a fact of rural life — and see the complicated interconnections between Otto, Russell, and Etta. We learn, too, about Otto’s wartime experiences, which seem to have crept over into Etta’s own memories and dreams. E&O&R&J is highly readable, and I enjoyed the light-handed touch applied by the author to even weighty scenes and subjects. However, the magical elements felt a little awkward and out of place to me, and of course Etta’s entire journey is basically impossible to believe… which I guess opens up other lines of thought, such as did her walk actually happen at all, or, like her dreams, is this a seemingly physical experience that’s actually something she’s experiencing vividly within her own head? My favorites sections in the book are those that deal with the war, with the courtship, and with life on the family farm. The story unfolds in bits and pieces, with a fluid timeline that jumps back and forth, sometimes from page to page. Overall, it is both a sad and entertaining read, and I enjoyed this not-quite-real tale about dreams, disappointments, and the idea that it’s never too late for a life to take an unexpected turn.